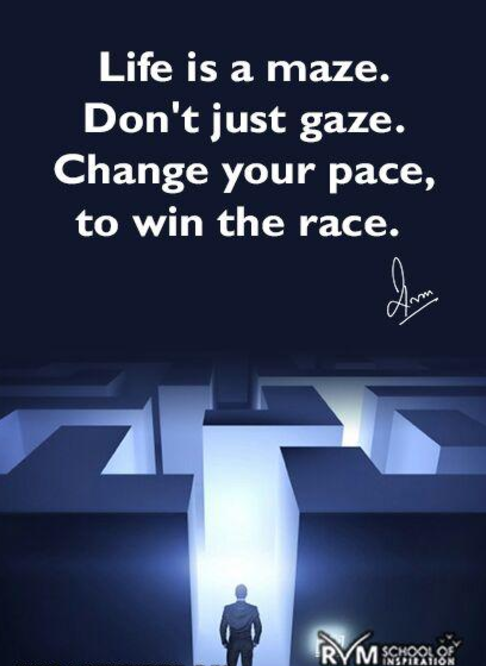 Competition is either a personal agenda, an ego related concern or one arising from attitude. Don't compare and berate yourself all the time. 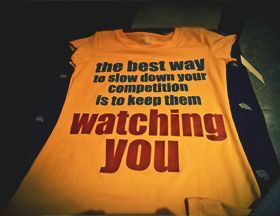 A healthy competition is good but jealousy will take you nowhere. A true winner gives himself the opportunity to study a competitor, plays a fair game and respects the winner. When competing, make yourself the competitor. A winners best competitor is himself. Competition is for those who want to improve the quality of their lives. Life is a continuous cycle of decisions that determine our stand in a world infested with competition. Competition is the spice of life; spice makes a meal better but spice cannot and should not make up the whole meal. There should be a certain amount of competition in life because it would help to hone our skills and emerge better and better. Imagine a race in sports without a competitor and what satisfaction you get if you are awarded the winner? Losing in a competition does not matter as long as you take part in the competition. Competition exists everywhere, in all walks of life, in sports, in education, in business and in arts. Competition is the catalyst that drives you to the pinnacle of glory and helps to sustain the fire in your heart. Send these quotes on competition to your friends to draw inspiration from them and learn how great people have crossed the hurdles and competition in their respective fields to attain greatness.